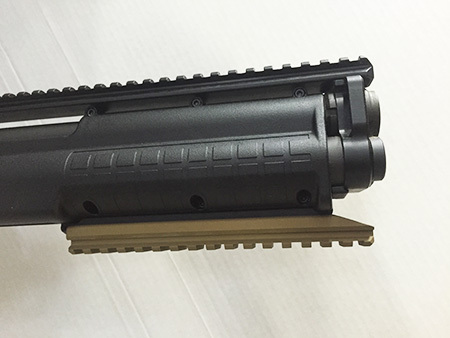 Hi-Tech's KSG "Extended" Billet Lower Rail & Mounting Hardware Made in the U.S.A.
- Patent Pending Extended Taper Design, APL# 29/513,247. - CNC Machined from lightweight Aircraft Billet Aluminum. Keeps the weight down on the front this way. 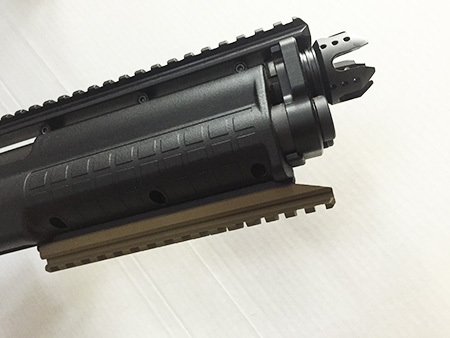 - Length: 6.615", Slides right over existing rail. - Locks into the lower Picatiny rail with Flush mounted set screws and special locking spacers. No screws sticking out! - A must have if you use pistol grips. 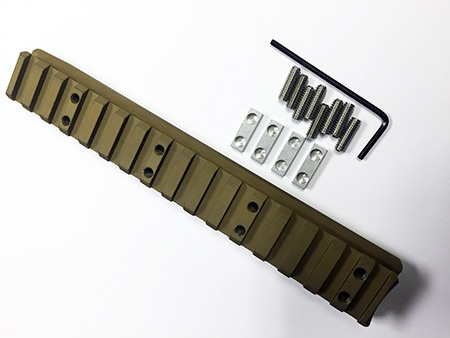 Prevents plastic rail breakage if you use a vertical Pistol Grip.